It’s located in Manchun-2-dong, Suseong-gu, Daegu (Manchun Street), named as Nambu-Jeongryujang (marked with South Long Distance Bus Station in the building). It’s the smallest scale of long distance bus terminal stations in Daegu, opposite to the No.4 exit of metro Line 2 Manchun Station. 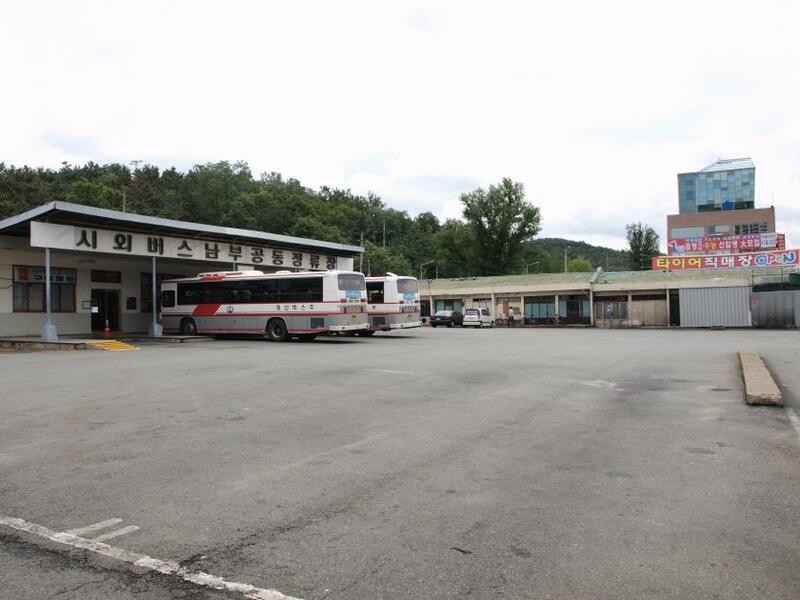 Most of the bus lines belong to Gachang-myeon Jeongdaeli of Dalseong-gun, Gyeongsan-si of Gyeongsangbuk-do (Jain-Jeongryujang included), Cheongdo-gun (Unmun Temple, Punggak-myeon, Isa-myeon, Geumcheon-myeon Donggokli, Unmun-myeon Bangeumli, Daecheonli and Samgyeli area), Geongju-si (Ilbu), Gyeongsangnam-do Milyang-si, Changnyeong-gun and the area of Ildae-ro, Eonyang-eup, Ulju-gun, Ulsan-Gwangyeok-si. 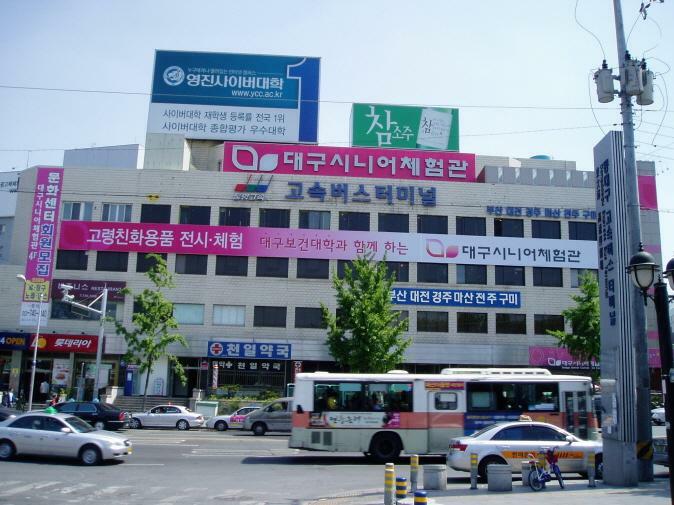 Former address of Wondae-dong of Seo-gu, it’s now located in Bisan-7-dong, Seo-gu, Daegu, named as the north parking lot or the north station by the citizens living in Daegu and other areas. The broadcast within Daegu buses also names it Bukbu-Jeongryujang (The north bus station). It’s the largest scale of long distance bus terminal stations in Daegu, with the most lines of Gangwon-do and lots of soliders’ first choice. It connects the most areas of Korea like Gyeongsangbuk-do, Busan-Gwangyeok-si, Jeonlabuk-do (Muju-gun), Chungcheongbuk-do, Chungcheongnam-do, Gyeonggi-do, Incheon-Gwangyeok-si and Gangwon-do. 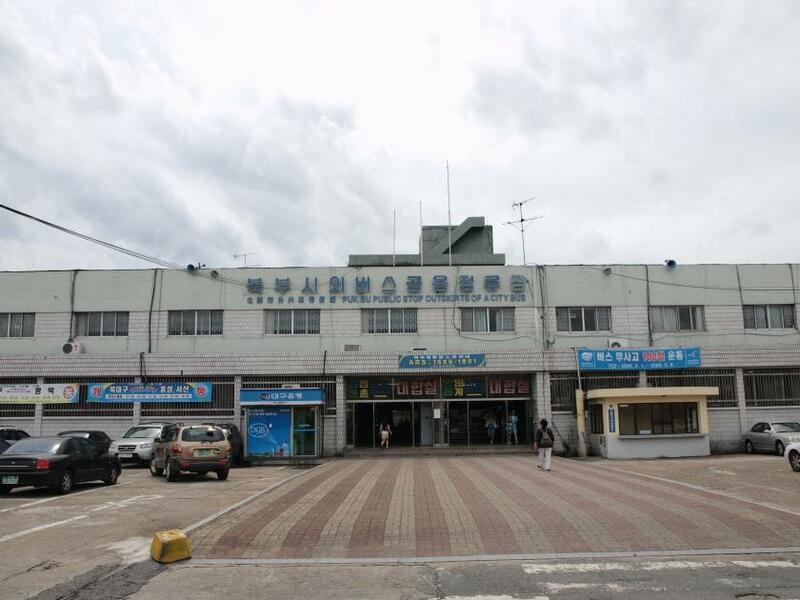 It was initiated as a normal station on Jun 10th, 1969 with the railway of KTX, Saemaeul-ho and Mugunghwa-ho run, as well as the ticket sales business of passenger bus and railway. The Daegu filial, Korail subsidiary, is located in 550, Dong-Daegu-ro, Dong-gu, Daegu. 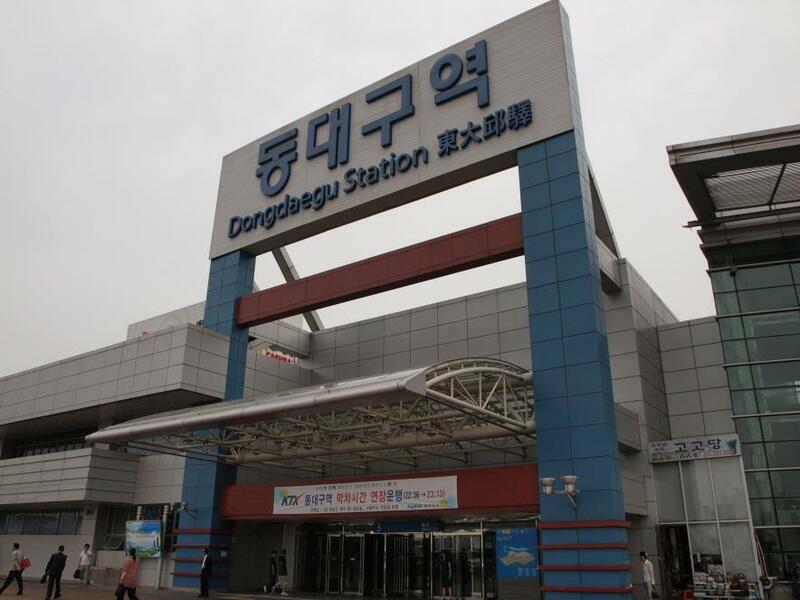 DongDaegu Express Bus Terminal passes by 4 stations of Hanjin Express, Dongyang Express, Geumho Express and Jungang Express, run by 11 transportation companies of Hanil, Cheonil, Samhwa, Hanjin, Dongyang, Geumho, Jungang, Sokleosan, Dongbu, Seongnam and Koolong Express in 17 routes throughout Korea.